The storm could also bring 50 mph winds. 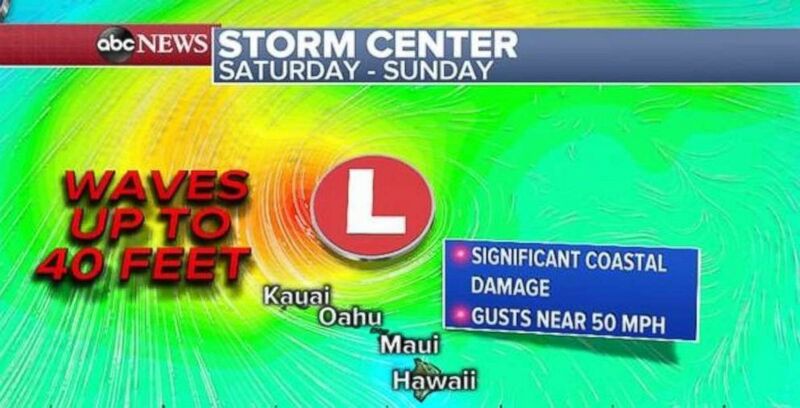 A strong storm in the central Pacific will intensify Saturday well north of the Hawaiian islands. (ABC News) Waves up to 40 feet are possible near Hawaii.